Local businesses, friends and supporters of Woodlands came out in force last week to make our Christmas Tea event a great success. Furthermore, we can now proudly announce that we have raised £1,800! 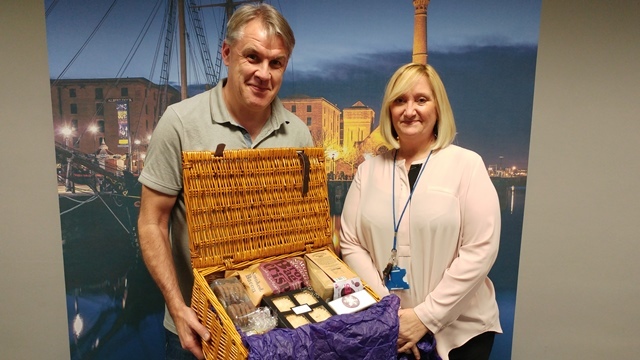 Tony Garrett at Barclaycard helped to organise a Christmas hamper raffle (see above), while at the event itself, tea and cakes were provided by Sainsbury's and Makro. The Liverpool Rock Choir also provided some rousing festive songs to entertain the guests. "We had a fantastic afternoon and were superbly entertained by the Liverpool Rock Choir. I must thank Barclaycard for the raffle and agreeing to match fund what we raised, as well as Sainsbury's and Makro for their kind provision of food. "One of our supporters, Elizabeth Haigh, also made an amazing cake and guests were able to guess the weight, which helped to raise additional funds. "The whole event helped to get everyone in the Christmas spirit!" 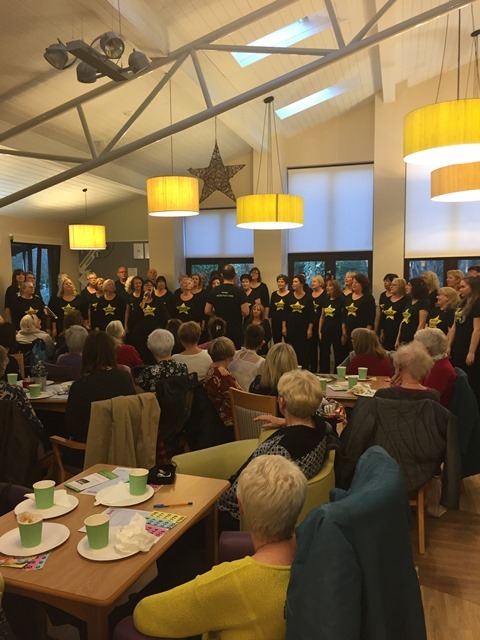 Liverpool Rock Choir entertained the guests at our Christmas Tea event.